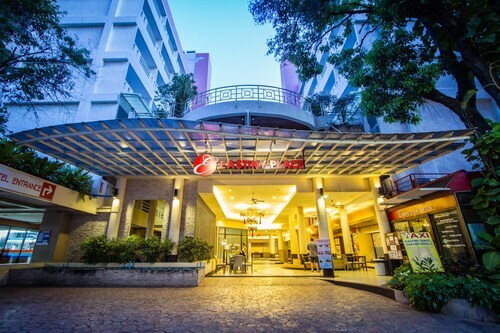 Located in Central Pattaya, this hotel is within a 10-minute walk of Soi L K Metro, Central Festival Pattaya Beach, and Big C Extra. Pattaya Beach and Pattaya Beach Road are also within 15 minutes. 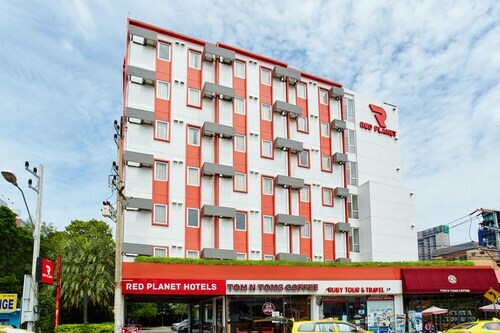 This family-friendly Pattaya hotel is located by the sea, just steps from Central Festival Pattaya Beach and Pattaya Beach Road. 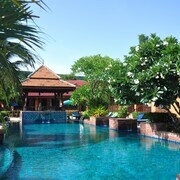 Pattaya Beach and Hard Rock Cafe are also within 15 minutes. 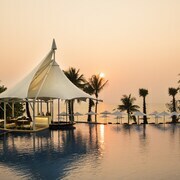 This family-friendly Pattaya hotel is located by the sea, within a 5-minute walk of Tiffany's Show and Art in Paradise. Pattaya Beach Road and Hard Rock Cafe are also within 1 mi (2 km). Located in Pattaya Bay, this beachfront resort is in the city center and within a 15-minute walk of Mini-Golf Pattaya and Walking Street. Pattaya Beach Road and Pattaya Beach are also within 1 mi (2 km). 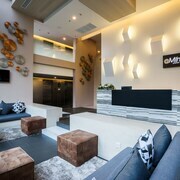 Located in Pattaya Bay, this spa hotel is steps from Teddy Bear Museum, Pattaya Beach Road, and Pattaya Beach. Art in Paradise and Hard Rock Cafe are also within 15 minutes. 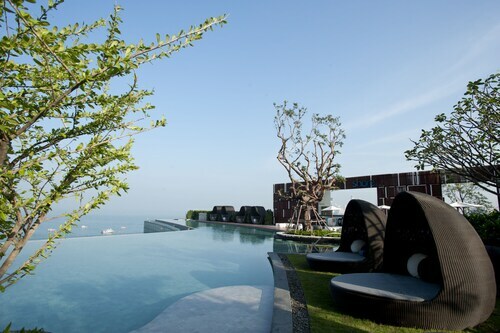 Located in Central Pattaya, this hotel is steps from CentralMarina and Art in Paradise. Pattaya Beach Road and Pattaya Beach are also within 10 minutes. 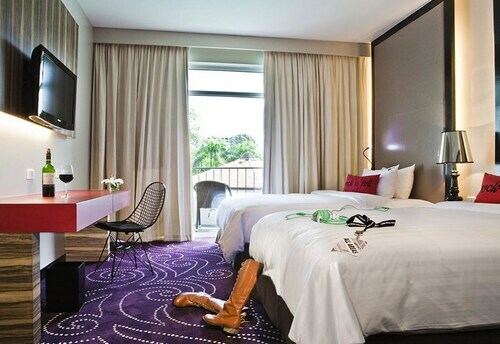 Located in Pratumnak Hill, this hotel is within 1 mi (2 km) of Mini-Golf Pattaya, Walking Street, and Pattaya Beach. Pattaya Beach Road and Ripley's Believe It or Not are also within 1 mi (2 km). 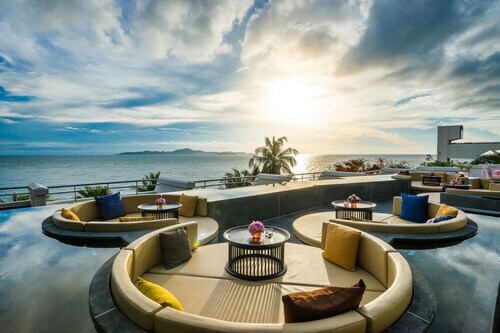 Nestled on the beach, this Pratumnak Hill resort is within 2 mi (3 km) of Pattaya Exhibition and Convention Hall, Walking Street, and Pattaya Beach Road. Pattaya Beach and Jomtien Beach are also within 3 mi (5 km). 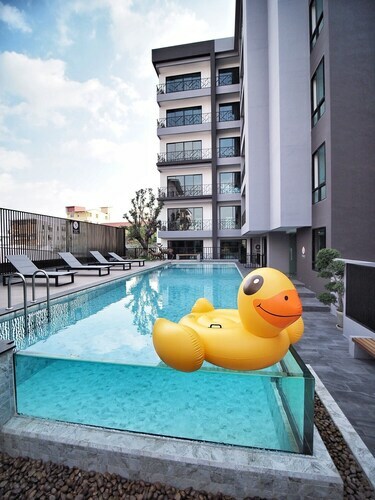 Located in Central Pattaya, this luxury apartment building is within a 15-minute walk of Alcazar Cabaret, Pattaya Beach Road, and Central Festival Pattaya Beach. Pattaya Beach and Big C Extra are also within 15 minutes. 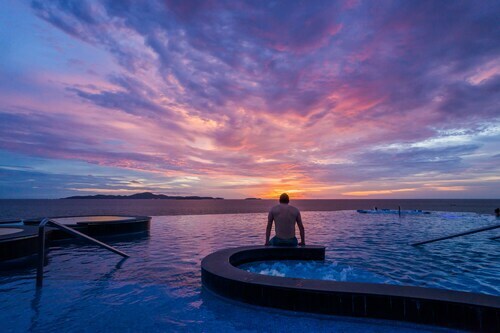 Royal Cliff Hotels Group sits on a private beach in Pattaya, within easy reach of Pattaya Pier, Walking Street, and Pattaya Beach. Also nearby are Tiffanys Show Pattaya and Bottle Art Museum. Pattaya: fun and frivolity in the sun, what more could you ask for! 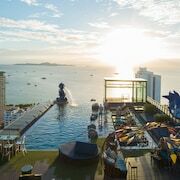 Great water sports, long wide beaches, attractions and sightseeing, shopping, and international cuisine – together with a naughty nightlife scene – makes Pattaya an excellent destination. 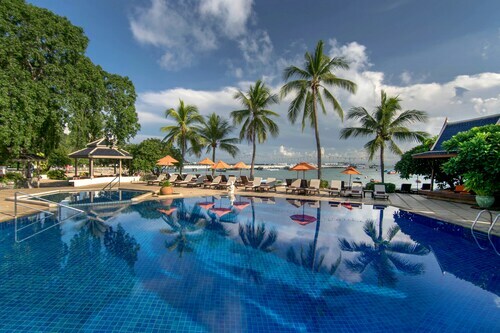 Book your Pattaya resort now. Pattaya’s a great playground for everyone in the family... it’s an easygoing, lively beach resort located only a short distance from Bangkok, with an excellent infrastructure for tourists. 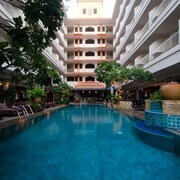 Stay in your Pattaya hotel and you will have a plethora of activities at your fingertips. Water activities include parasailing, jet skiing, banana boat rides windsurfing and sailing. For those after a spot of thrill-seeking: bungy jumping, motor-racing and go-karting are on offer. For those after relaxation: enjoy a massage or spa, take yoga or a cooking class, or visit the floating markets. And for those seeking out the spiritual: The Sanctuary of Truth - a fusion of religion, philosophy, art and culture in an exquisitely carved teak building – is for you. Hire a boat for a day and cruise out to the islands off Pattaya, enjoying golden beaches, swimming in the blue waters and snorkelling in and around the corals and fish. With over 30 spectacular golf courses to choose from, you’ll find Pattaya a golfer’s paradise. All courses will challenge you in different ways, so you will need to be in top form! Where in the world do you get championship courses, a beach resort, entertainment and lots of fun? A great result, golf everyday on different courses, and restaurants and bars in the evening! Pattaya has a fantastic, vibrant nightlife, a magnificent array of pubs, clubs, discos and go-go bars for you to enjoy and party until the sun comes up! 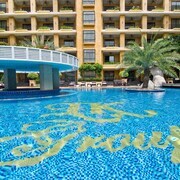 You will have a great holiday staying at your Pattaya beach resort. 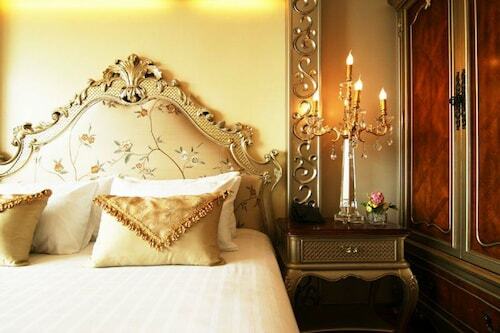 How Much is a Hotel Room in Pattaya? 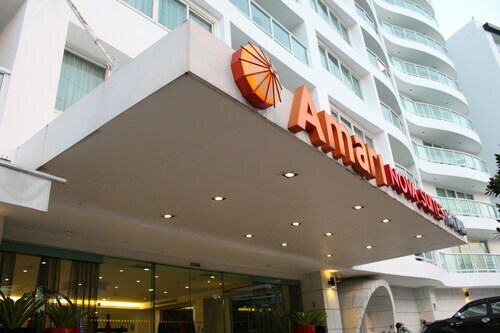 Hotels in Pattaya start at AU$23 per night. Prices and availability subject to change. Additional terms may apply. 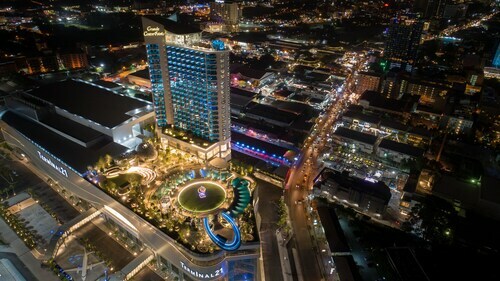 The hotel is well located and close to the shopping mall. The restaurants offer great quality food also. Whilst the decor is over the top and slightly aging, the property is perfectly located to everything you could want in Patteya. The room is relatively large and comfortable, with Engligh TV channels. The buffet breakfast (until 11.00am) provided an abundance of food and variety. There was a handy mart on the ground floor too.The pool/steam room/sauna are was so lovely and added to our already wonderful stay. The hotel room is spacious and new there is a nice swimming pool and the cost of the room is very good I am staying here again, also the hotel is in the centre of Pattaya.